After one of the craziest winters and springs weather wise ever, the first fruit of the season from the Great Lakes States is ripe for the picking. 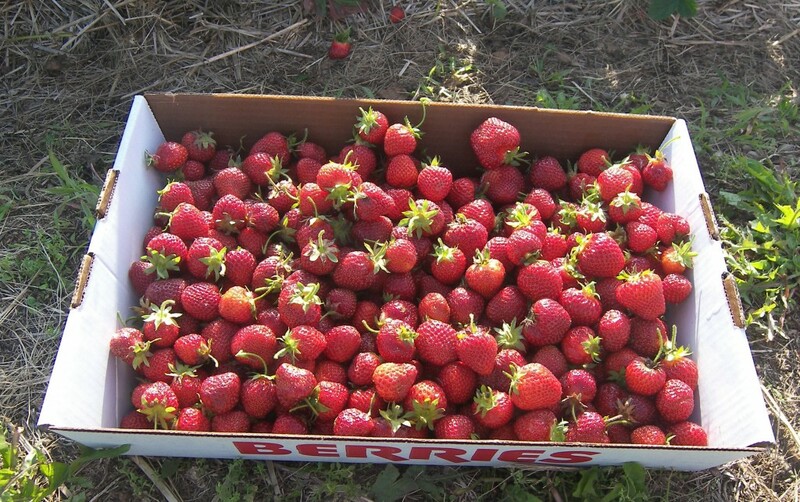 Many u-picks farms are reporting they are planting to open for strawberry season on Memorial Day or close to it. Strawberry season is short, usually lasting no more than 3 weeks, so if you plan to do some picking, get your plans in order. Picking starts MONDAY MAY 28TH ! Picking starts MONDAY, MAY 28TH, 8:00am-8:00pm. The price is $1.30/lb (containers are free). Already picked berries will also be available fresh off the vine for $3.25/qt. Upon opening Monday, farm hours will be: Monday-Friday 8:00am-8:00pm, Saturday & Sunday 8:00am-5:00pm. Season should last 18-21 days..WEATHER DEPENDENT! They expect to begin picking the 2nd week of June.